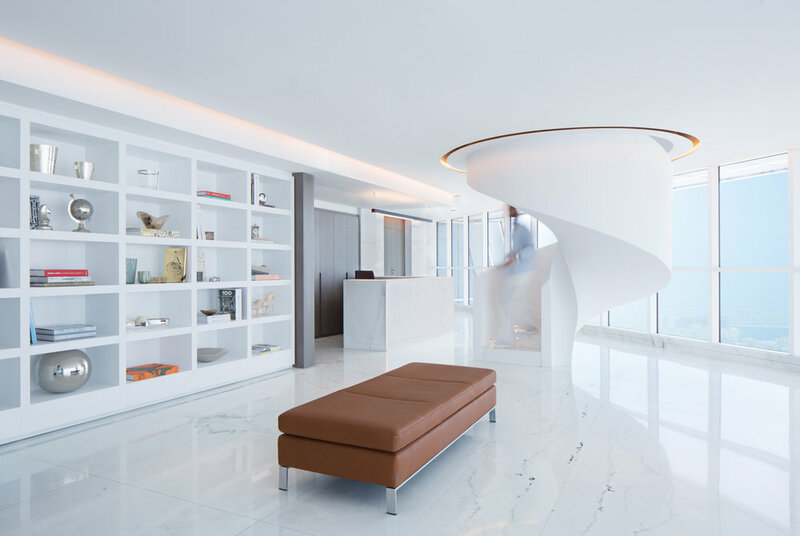 Light Space Design is a full service architecture, interior design and planning practice with offices in Dubai, and China. Founded in 2004 has developed a diverse body of work from small installations to large cultural, residential, commercial, and leisure projects. 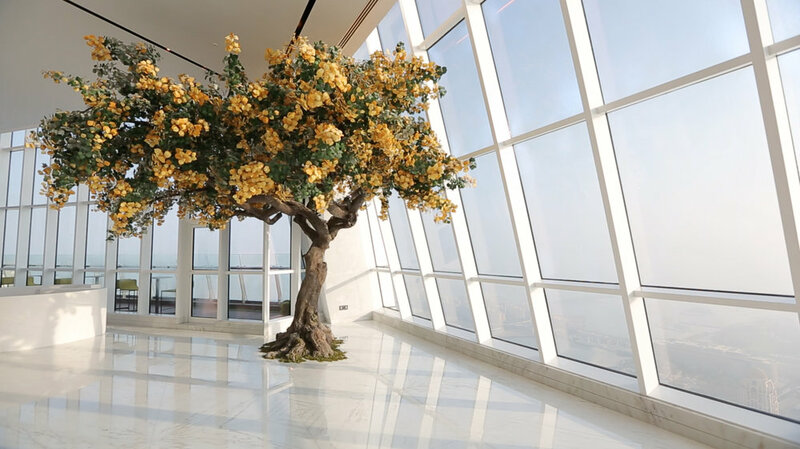 This 43,000 sqft penthouse housed over 4 floors with a 360° view of Dubai includes; 3 bars, a cigar lounge, night club, home cinema, swimming pool, 6 bedrooms, 18 bathrooms, 6 terraces and an industrial kitchen, as well as secret passage ways. It is a homage to the Belgian surrealist Rene Magritte. It poetically erases the barriers between reality and dreams. 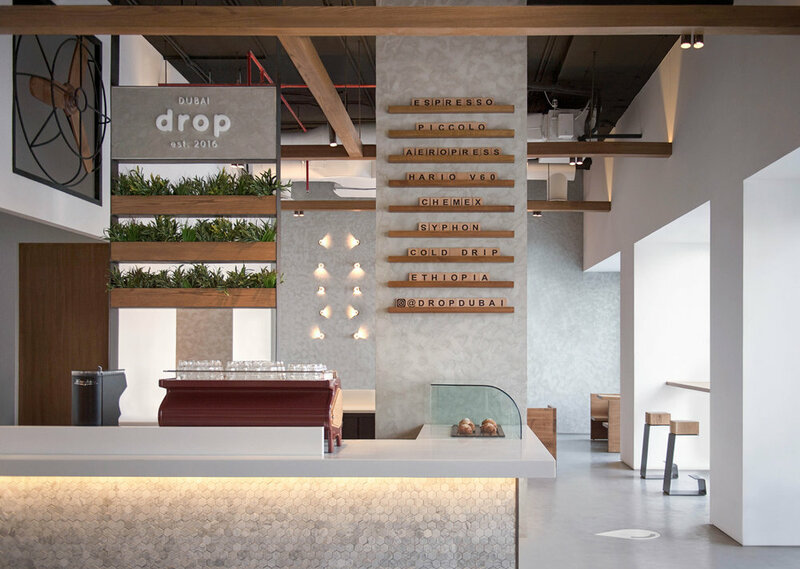 Located in a new mixed-use development on a developing road in Jumeirah, Drop Coffee Dubia is one of first specialty coffee brand to be developed and born out of the UAE’s craving for specialty coffee. 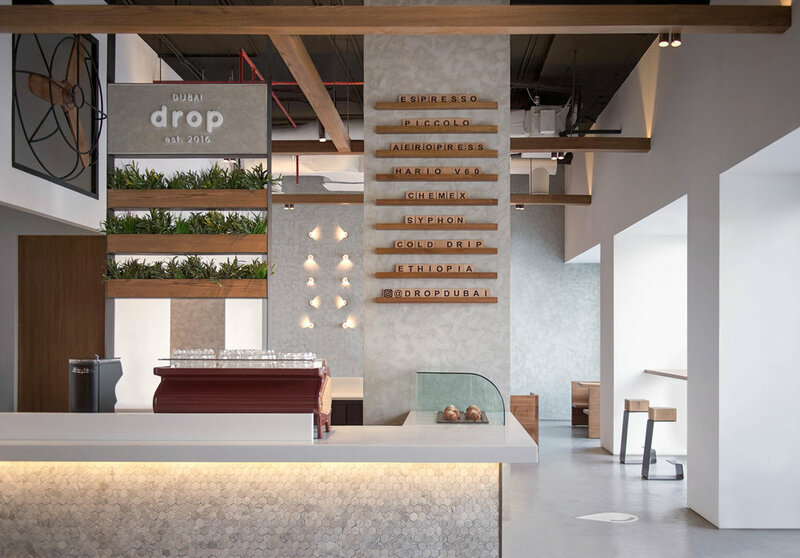 The interior layout was developed to serve both the local social customs of the GCC (Gulf Coast Countries) and the global culture of enjoying specialty brewed roasting coffee. The program beings at the heart of the coffee shop - the roasting kettle - where imported organic coffee beans are roasted daily and used in the 9 different brewing techniques offered to customers. The accessories and appliances used in the brewing techniques are positioned in the different stations around the perimeter counter allowing the staff to engage the customers in conversation and explanation of the different brewing processes. Material finishes are kept raw and sincere with warm oiled woods and cement finished walls as the main palettes. Contemporary love seats and 'majlis' booth seating offer patrons a unique experience. A relaxed social experience in minimalist expression brewed without complexity. 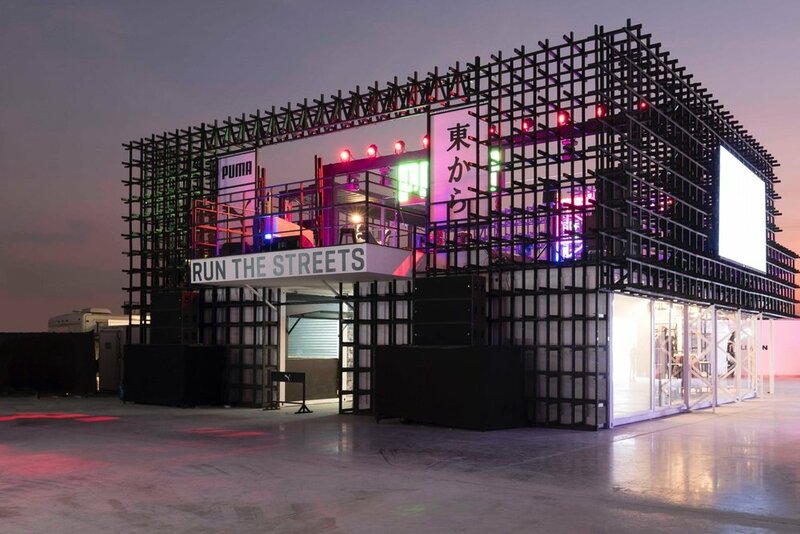 This is two warehouses in Al Serkhal Avenue, that were converted into a gallery space. A gallery by definition needs to be subtle in its approach as the space is secondary to the art that is displayed within it. 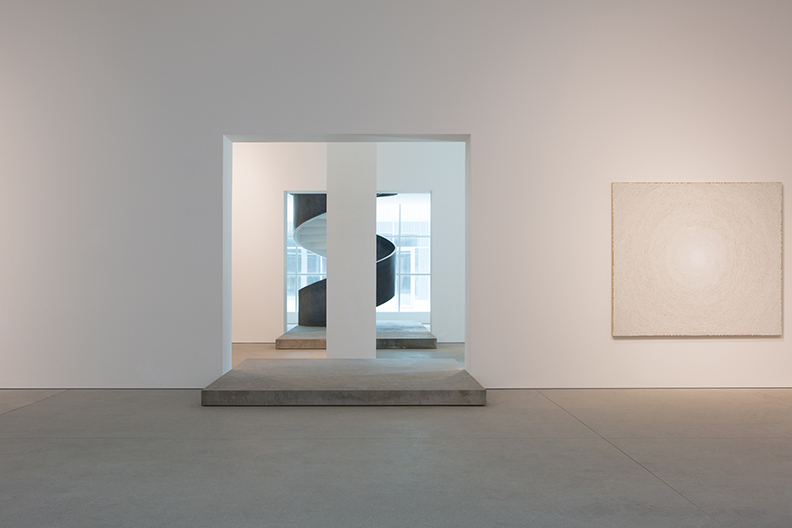 This particular project needed to have a functioning exhibition space with natural light. 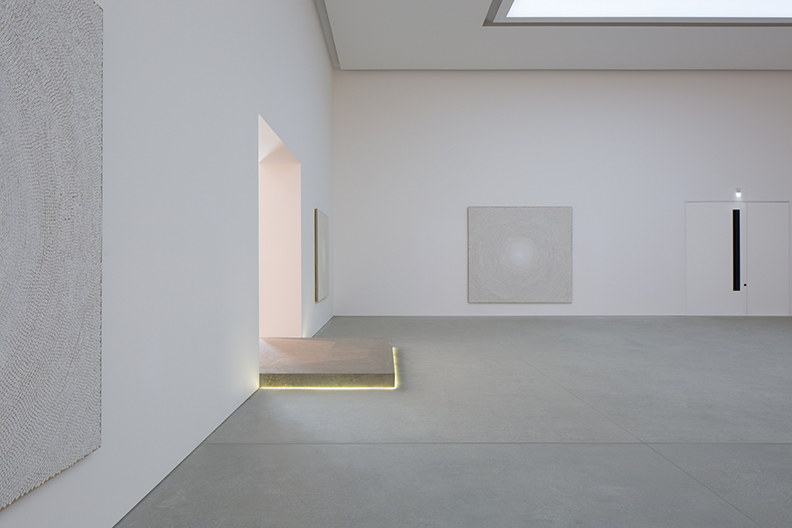 A welcoming entrance that separated the galleries without visibly enclosing them. As well as a fully operational back of house that need to operate the day to day. 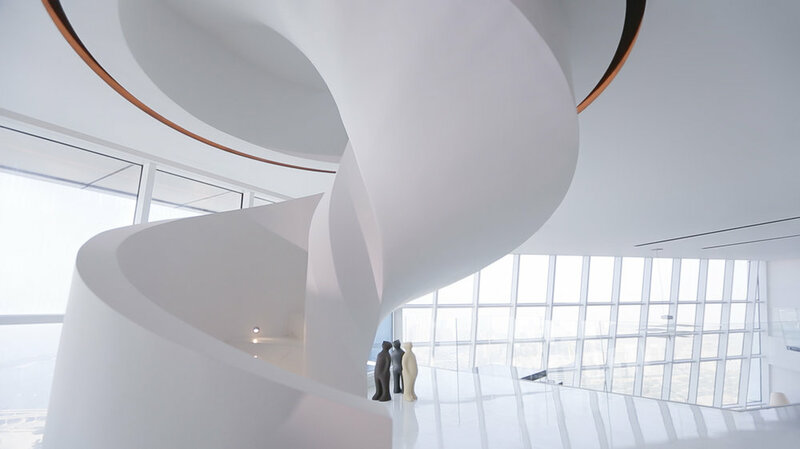 This gallery encompasses the definition of LSD its defined by the space it occupies the light that illuminates it and the design details that define it. Jetsmarter is the uber of the air. A dynamic young tech based company that needed a space that appealed to not just the wealthy older generation of private air travelers, but to a younger demographic that normally would not have the ability to travel on private aviation. Taking the influence of modern and traditional japan both visually and culturally. 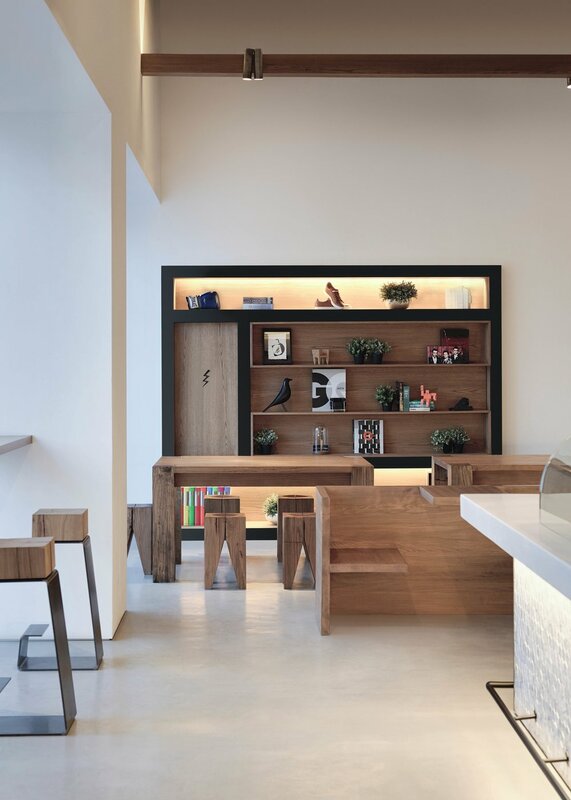 The overall structure invokes the traditional joinery aesthetic - taking a simple detail and repeating it until it develops into a complex overall structure. We were fascinated with the potential of layering. The alleyway - a brilliant and ambitions idea during our many workshops with the client - became the main artery connecting the different program elements together so regardless of where you were in the structure, there was always a sense of experiencing the different activities and visitors taking place. This stimulus layering of, sound, light, visibility, and activity was what made the concept such a success this year. Café racer reborn reimagined’, we wanted to stay true to the history and culture of the Café racer. To design a motorcycle that embodied the philosophy of L.S. Design. 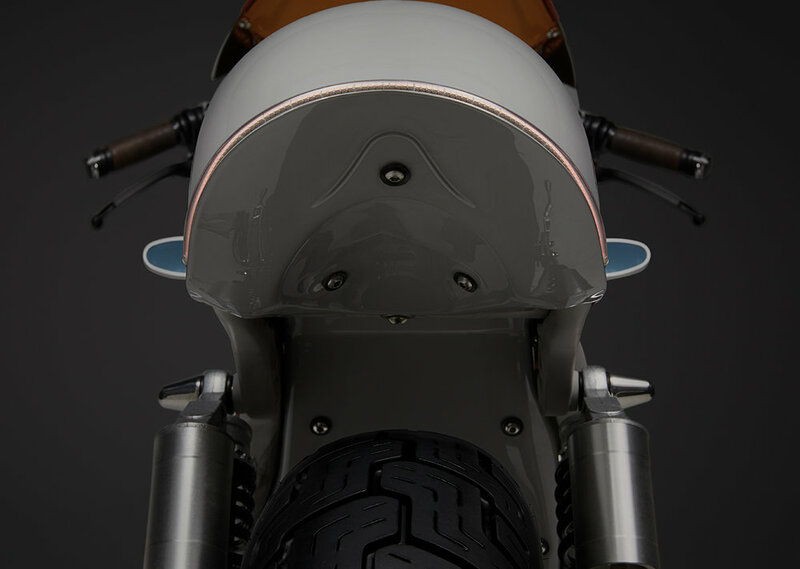 To stay true to our design language and make a motorcycle that had all the essence of what makes a Café racer. A Café racer, without the inherit problems of that era - flawed. A fully modern bike with electronics LED lights and on board computer management system yet holding true and strong to the retro design of its era. A homage to the Café racers of the past with technology and refined engineering of the present. OP2825 is a Hotel situated in Ubud Bali the concept was to design a contextually immersed building with strong Japanese ques. 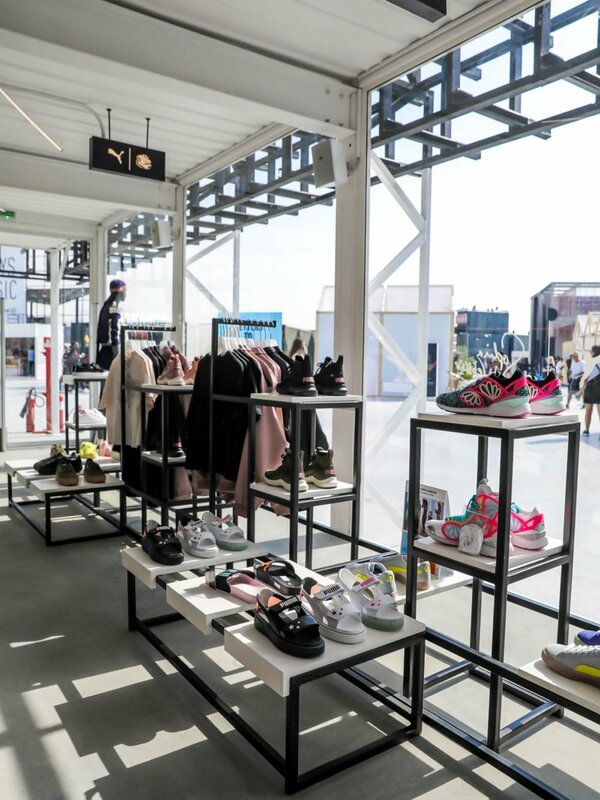 The design palate was to only consist of exposed concrete wood and steel. This build needed to have the elements of a 4-star hotel without exceeding the floor plate castrates of the site. The project consists of a roof bar lounge, plunge pool, one suite, and standard rooms a lobby, restaurant and reading room. The building is cladded in local vegetation and wood so that with time its presence is lost within the background of the Ubud forests. The demographic that the project needed to cater for was the affluent traveller that wanted to feel the pulse of a vibrant city gateway. With the luxury and detail that a 5 star resort could offer.